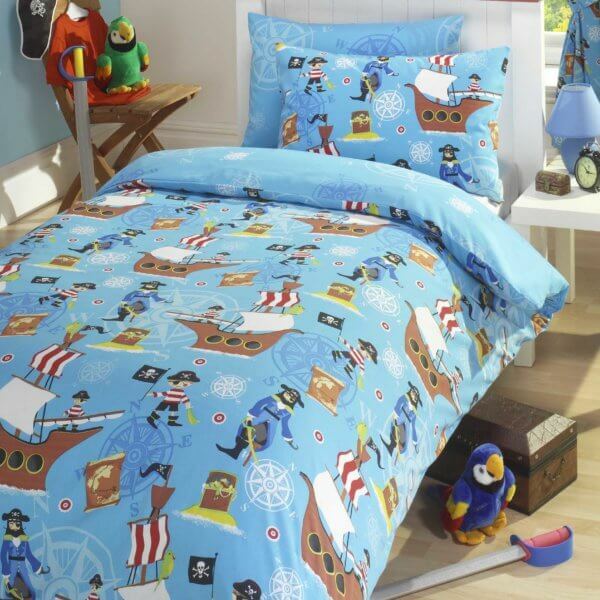 Take an adventure with the sea pirates. 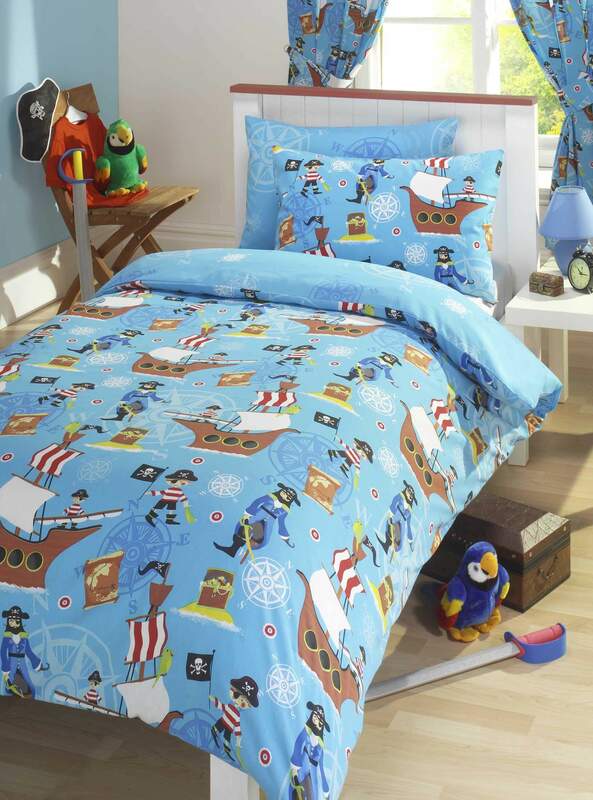 This reversible duvet cover has the Sea Pirate design on one side and plain blue with some designs of compass on the opposite. If you are unhappy with your purchase-you are entitled to a 14 day period to return an unused/unopened item for a full refund (excluding shipping charge). Please contact our customer service department by phone or e-mail before returning the item. We can only refund the item once we have received it back into stock and we can only refund the original credit card used. We will only refund delivery/postage costs if the return is a result of an error on our part. Shipping charges are paid to an external courier service and are non refundable. We cannot refund items returned after the stated period. As these items have been reduced in price to clear-return of sale items will only be accepted if the fault lies with us. Please contact our customer service department prior to returning goods. Leave your contact details if there is no response and an agent will call you back. Please take care to return the item to us in the same manner that you would return an item to a store as it must be eligible for resale. We reserve the right to refuse damaged items. We will not accept returns or exchanges for any item that has been opened or damaged. Please keep your receipt if you would like to exchange an item. If you require a refund or exchange for any reason you must return the item in all it's packaging, along with your original purchase invoice. What are the return shipping costs? Shipping costs on any non-damaged will be the responsibility of the customer.